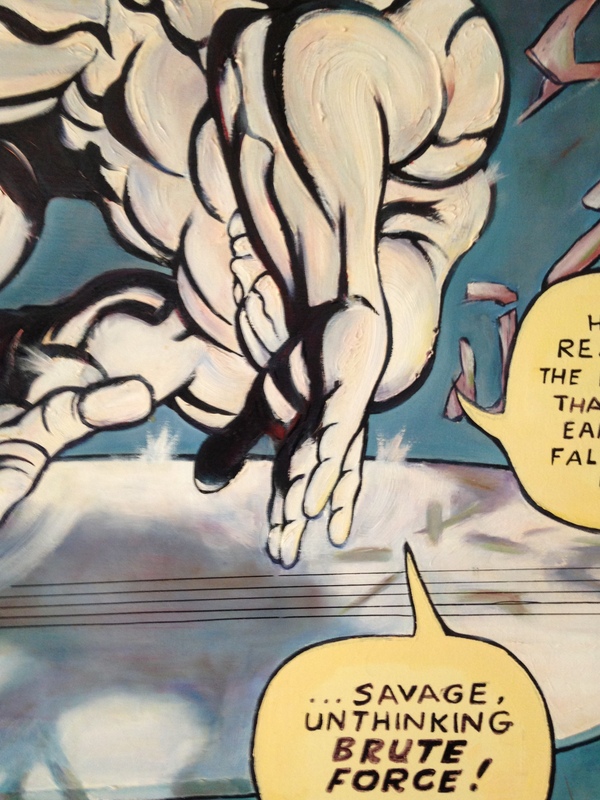 We told you about this painting before, but now we have a decent camera. 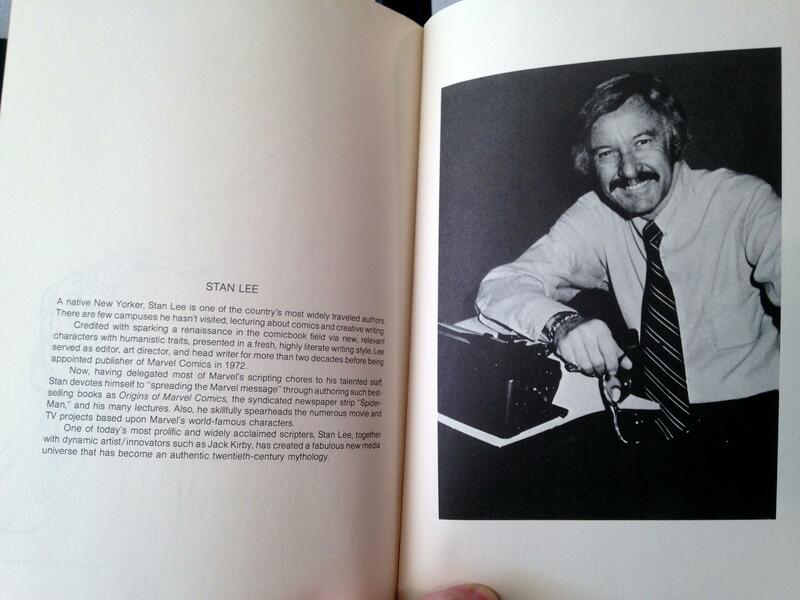 So, let’s immortalize it again for the digital age! 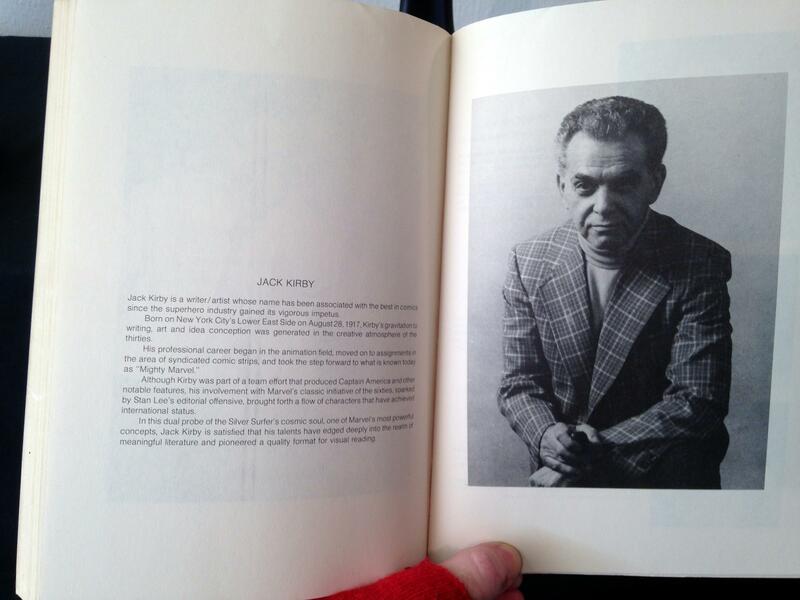 Iain Carstairs guest authored a series here on Jack Kirby entitled Persistence of Spiritual Vision. 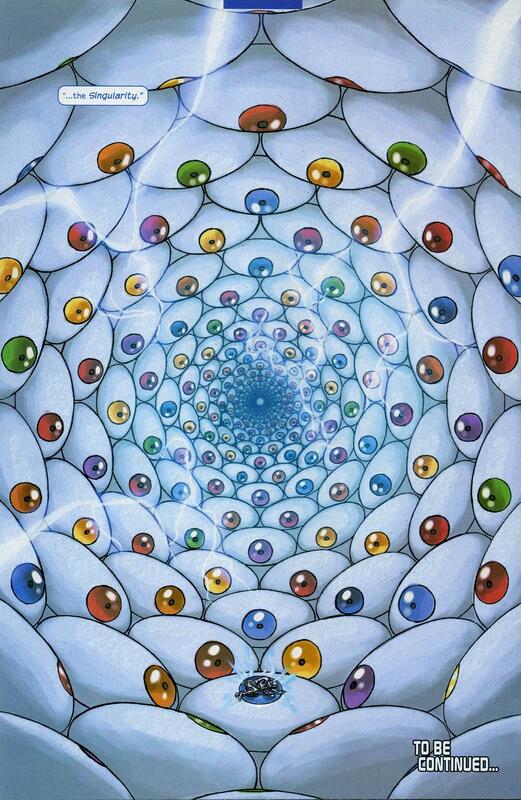 We had discussed our mutual Kirby interest and the idea of painting using aspects of Kirby’s style. 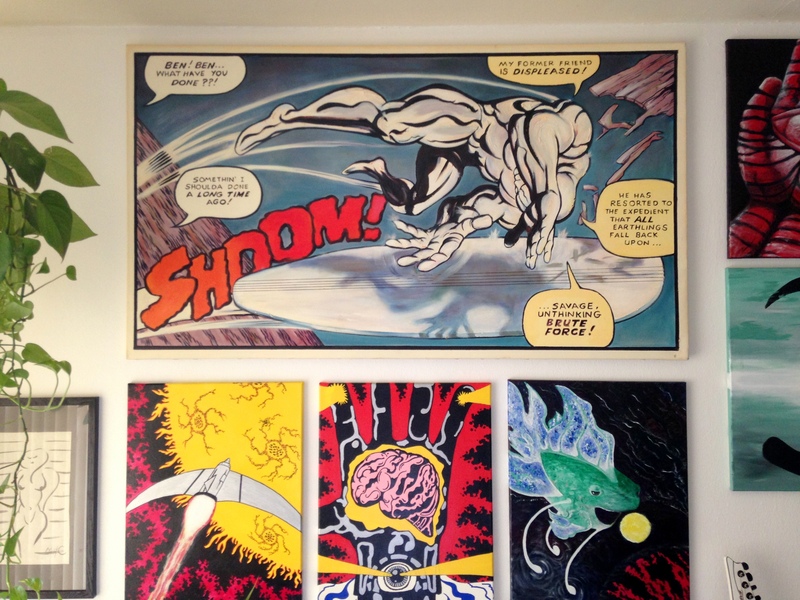 While yours truly ran off to put Kirby Krackle on everything, Iain created this enlargement of a panel from the Fantastic Four. Check it out. Now, at the time, we were working on a mini-comic about dinosaurs in space. 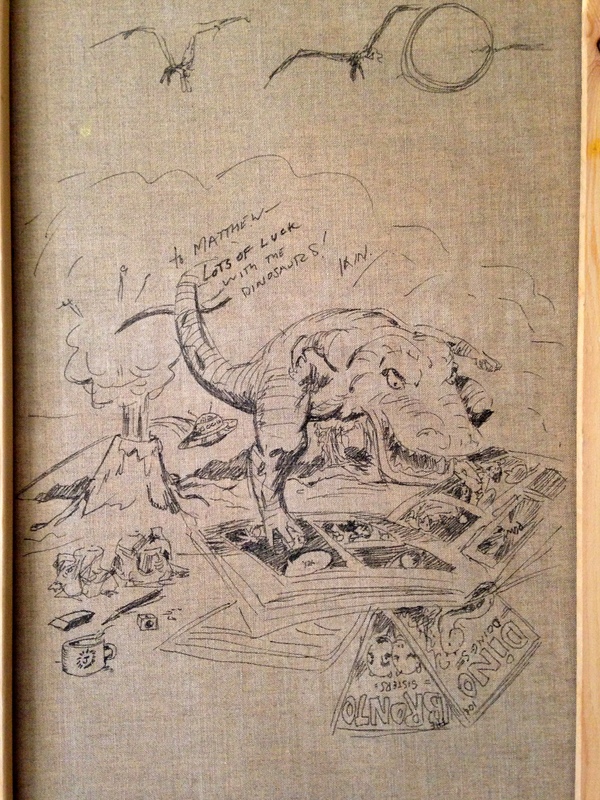 So, we were thrilled to find this additional sketch on the back of the canvas. Dinosaurs Forever! 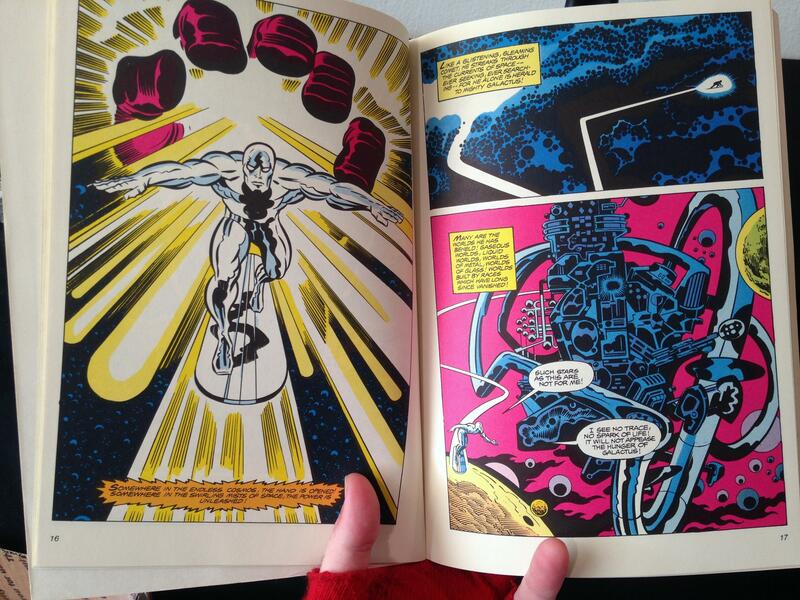 We’ve been fans of the Silver Surfer for a long time. 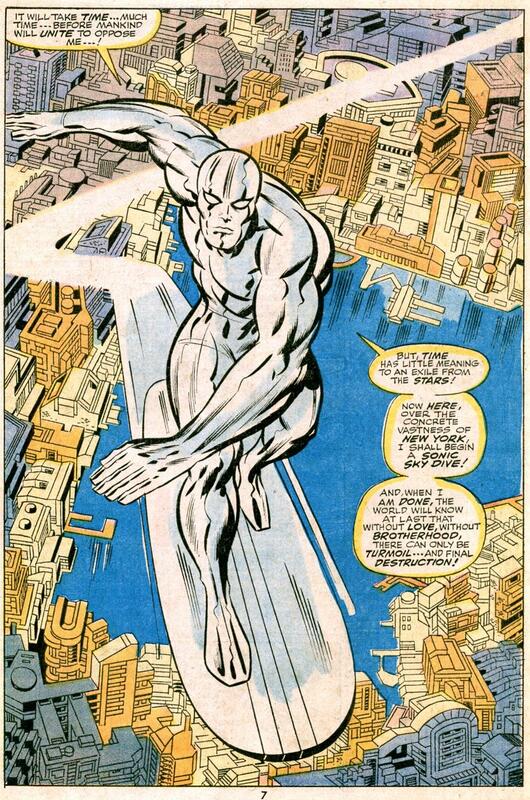 But not since the days of Stan Lee and John Buscema has a Silver Surfer series captured us with such a marvelous union of art and story as Silver Surfer Vol. 3. In its 14 issues, we get two related stories: Communion and Revelation. 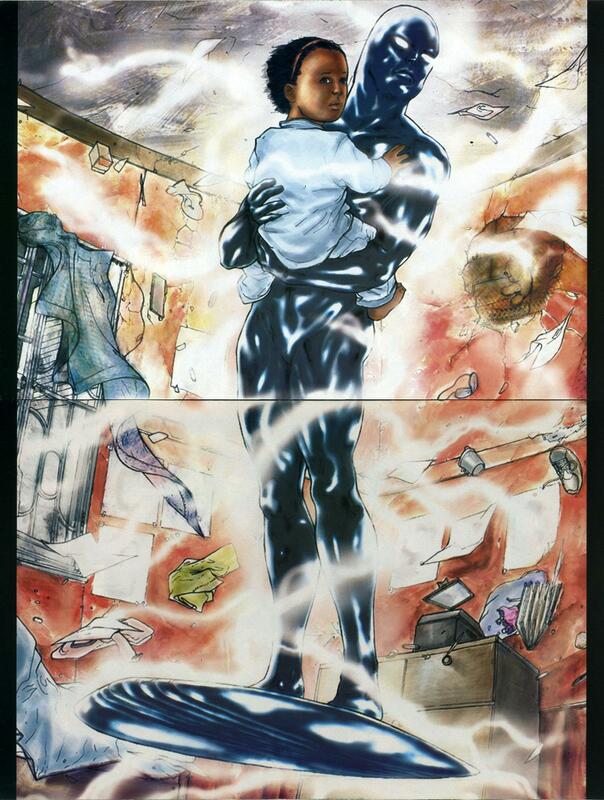 The surfer collects a handful of children from Earth, including the central character Ellie. Ellie is autistic. Her relationship with her mother forms the central emotional context of the tales. 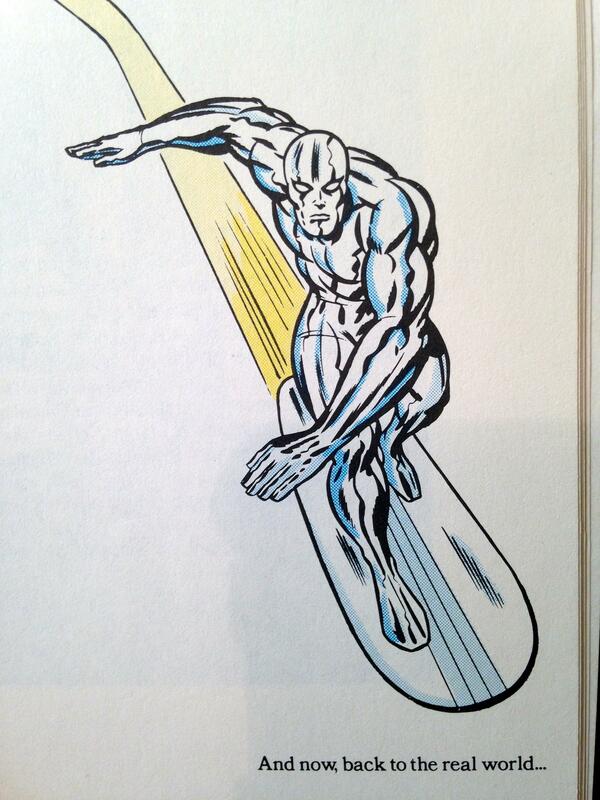 But why is the Surfer abducting kids? 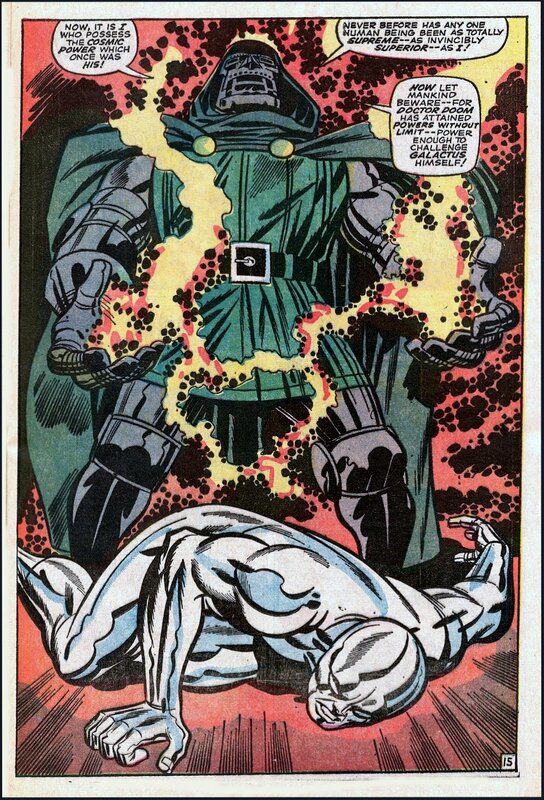 Well, if you’ve ever read a Marvel comic before, you can guess it has to do with either A) the destruction of Earth, B) the destruction of all life as we know it, or C) the destruction of the entire universe. We’ll let you guess which one it is! 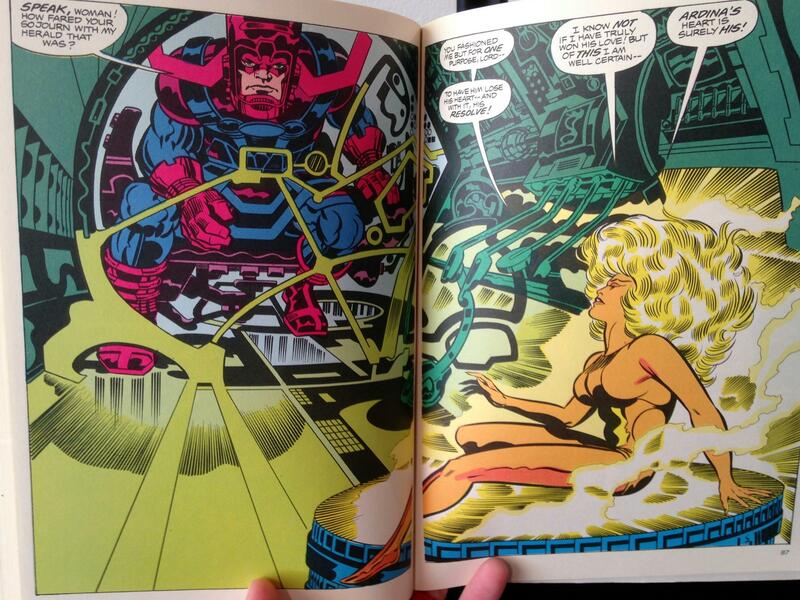 In the meantime, check out these stunning splash and double-splash pages from Communion! Written by Stacy Weiss & Dan Chariton; Pencils by Lan Medina. 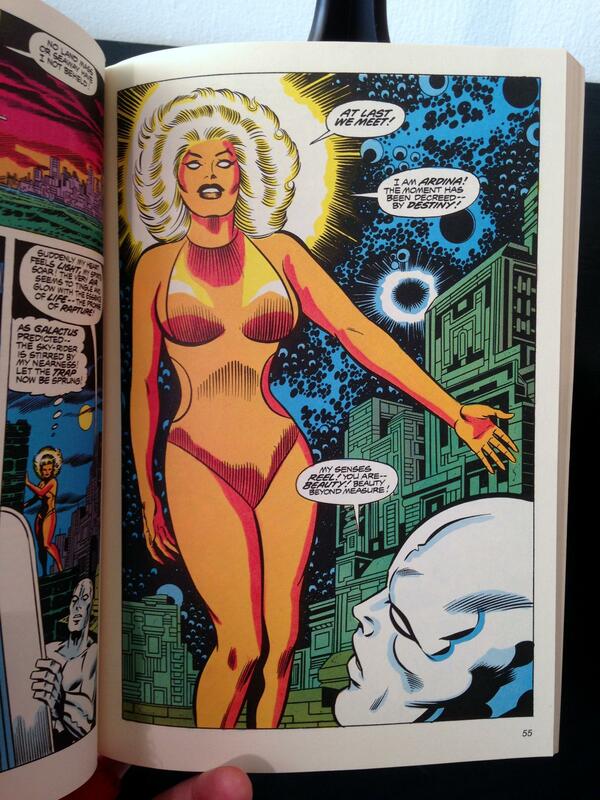 – From Silver Surfer Vol. 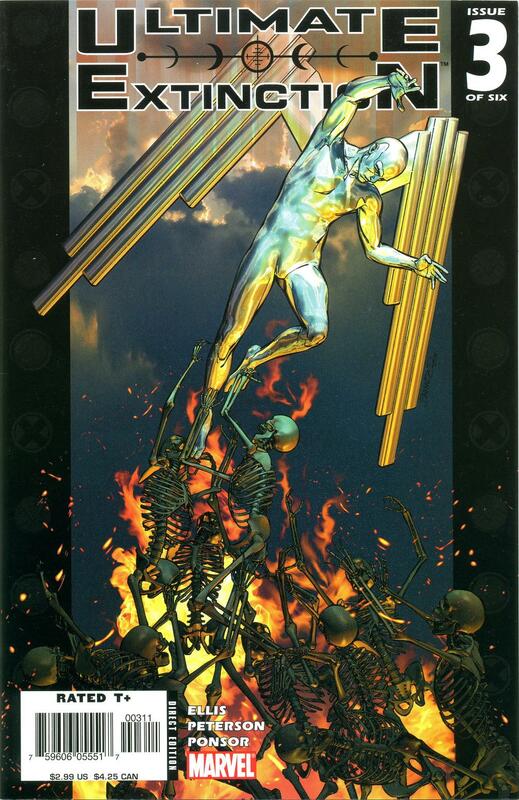 3; Marvel, 2003. 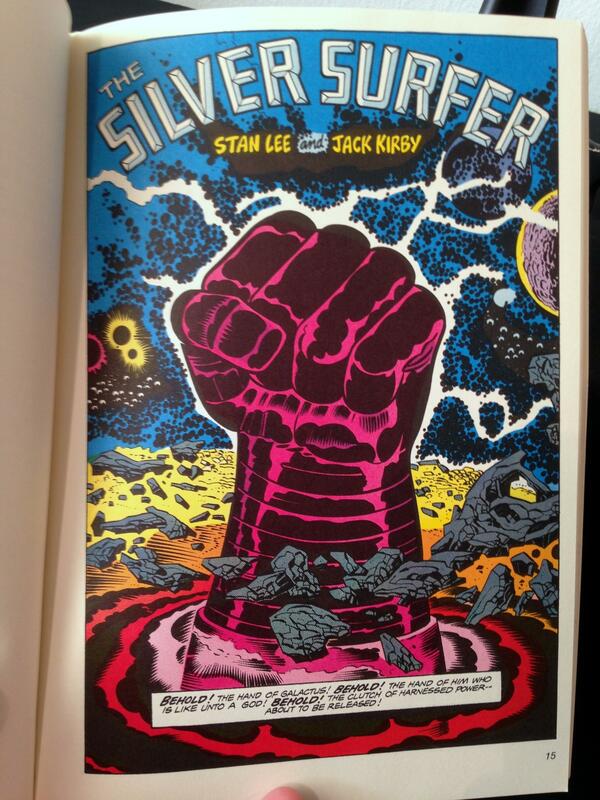 – Reprinted in Silver Surfer: Communion TPB. 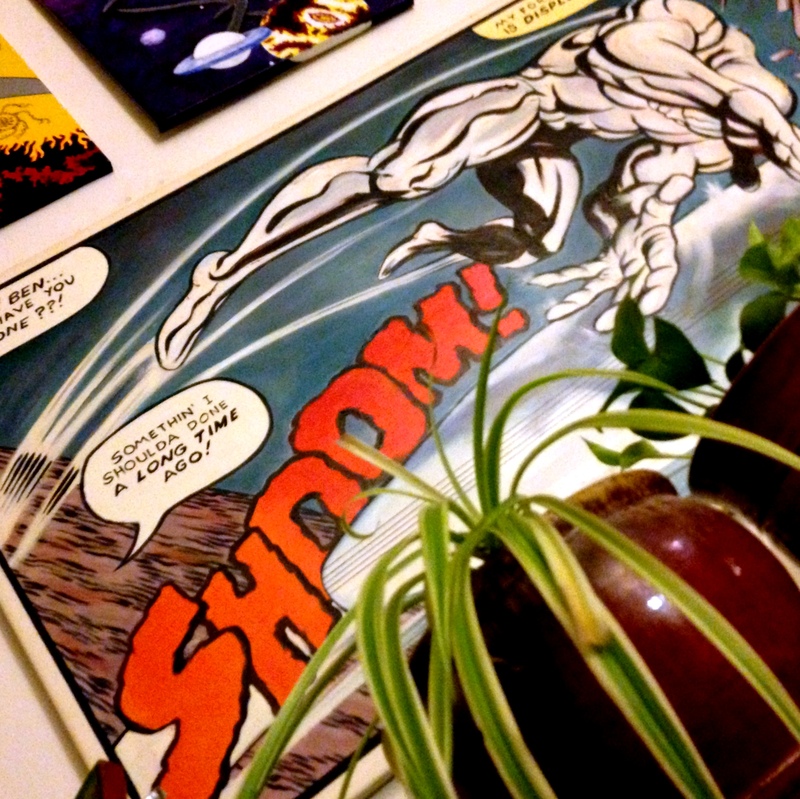 Man-Thing Meets Silver Surfer in Strange Tales! 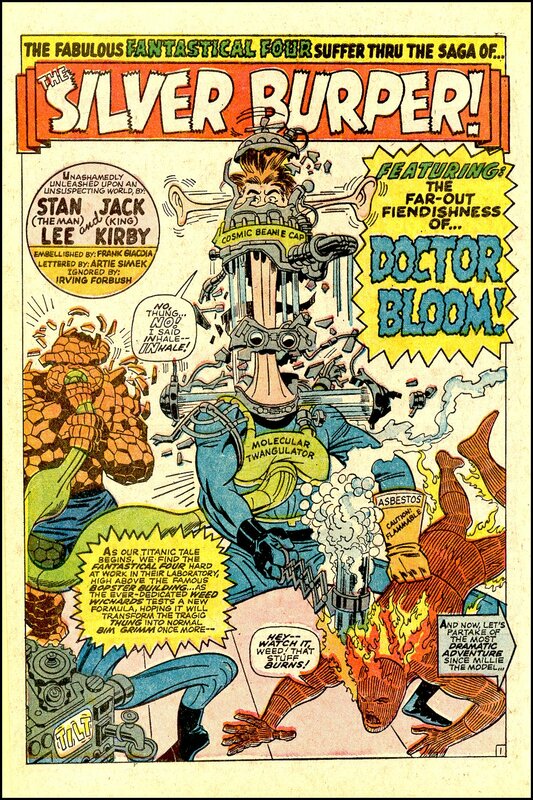 Today’s Man-Thing Memoir is so trippy we don’t even know what to say. 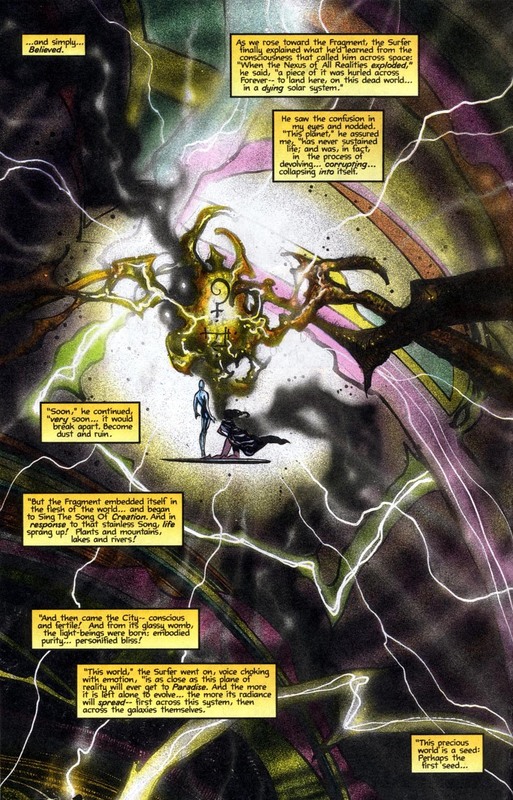 Man-Thing and Silver Surfer team up to save the universe in a hail of really beautiful, twisted artwork by Liam Sharp and colorist supreme Christie Scheele. 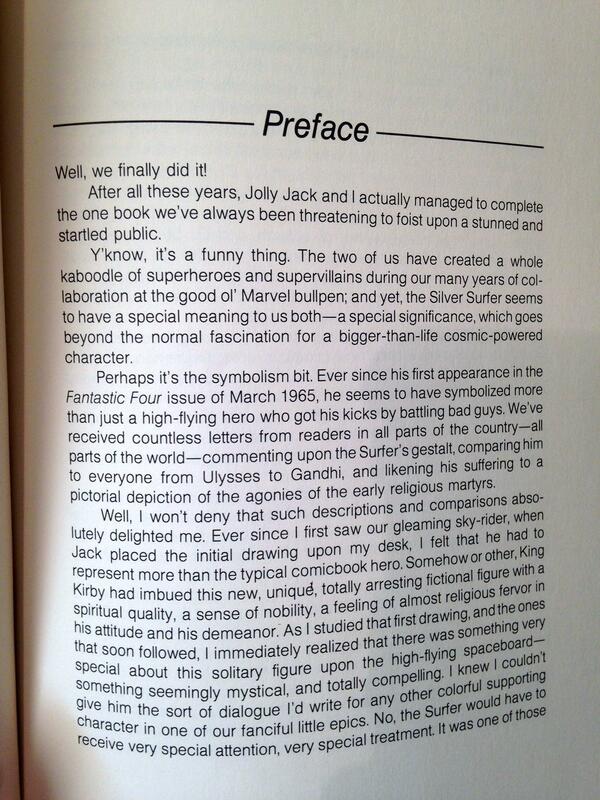 – From Strange Tales #1; Marvel, 1998. 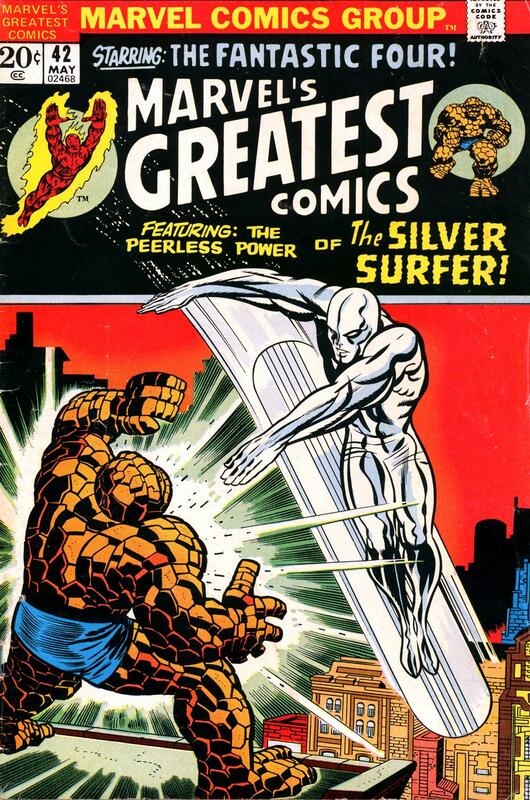 We’ve been fans of the Silver Surfer for a long time. 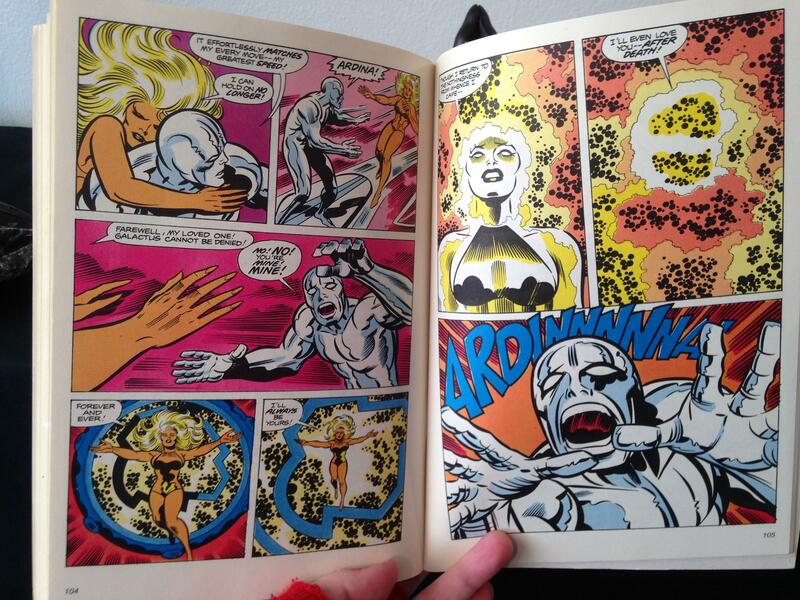 Not since the days of Stan Lee and John Buscema has a Silver Surfer series captured us with such a marvelous union of art and story as Silver Surfer Vol. 3. In its 14 issues, we get two related stories: Communion and Revelation. 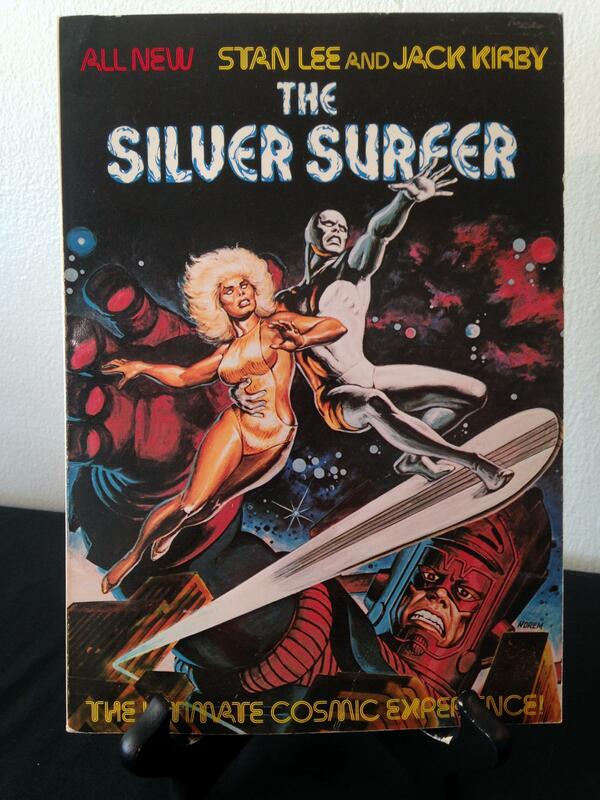 The surfer collects a handful of children from Earth, including the central character Ellie. Ellie is autistic. Her relationship with her mother forms the central emotional context of the tales. 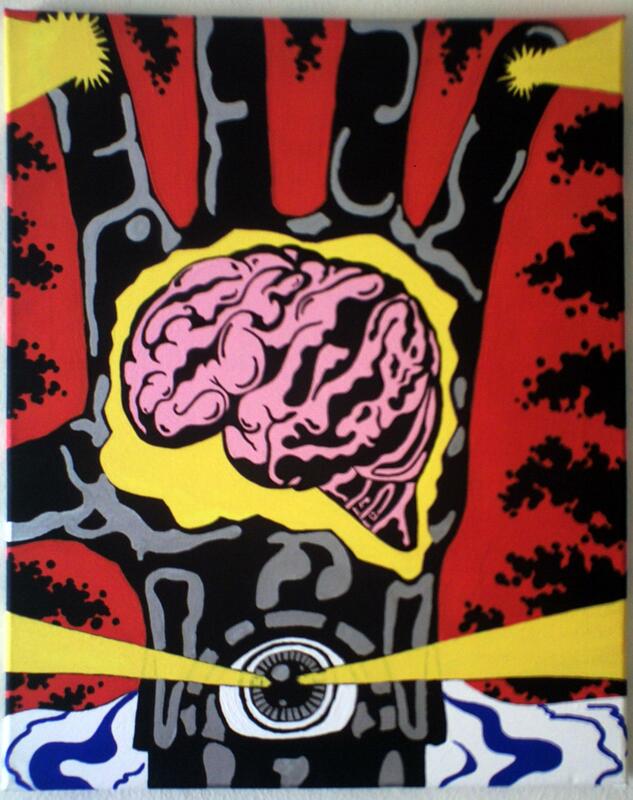 But why is the Surfer abducting kids? 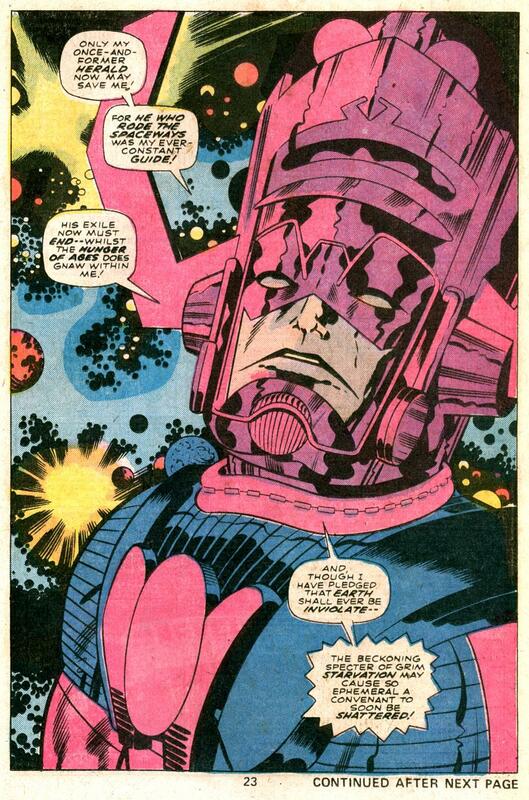 If you’ve ever read a Marvel comic before, you can guess it has to do with either A) the destruction of Earth, B) the destruction of all life as we know it, or C) the destruction of the entire universe. We’ll let you guess which one it is! 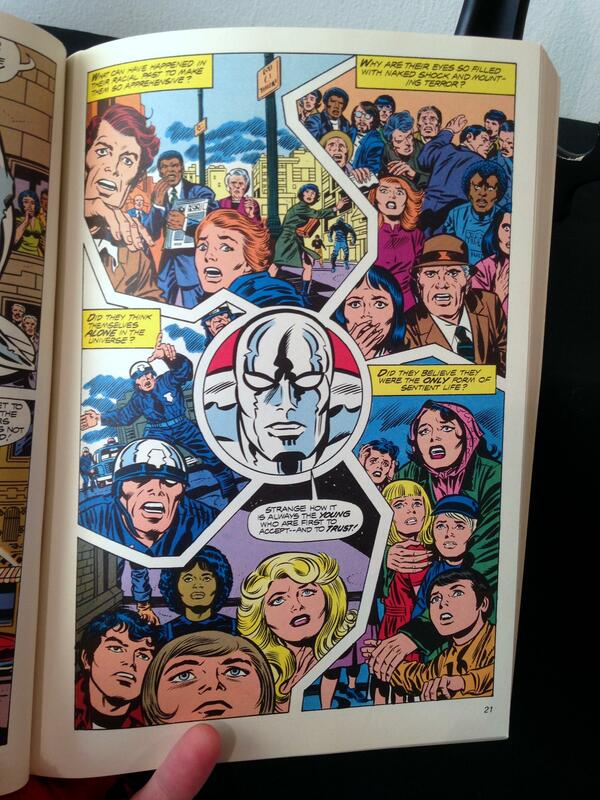 And the Humans of Earth Will Then Be Spared! 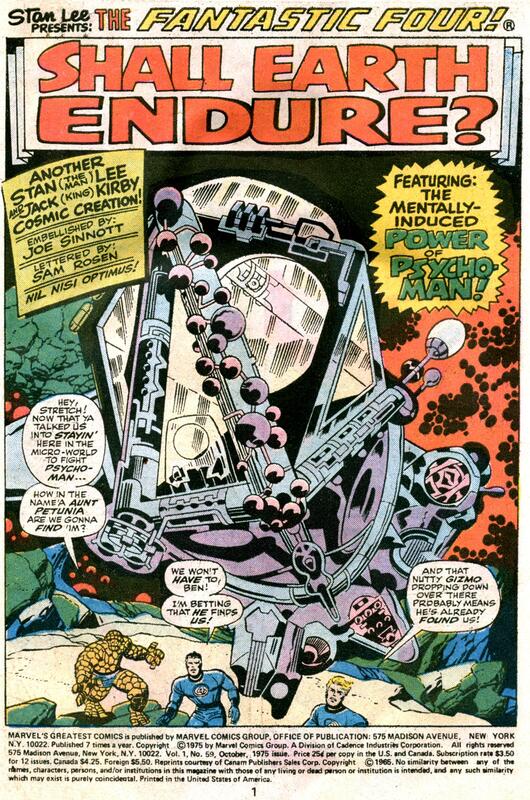 “Shall Earth Endure?” wraps up the story from the previous two issues, “When Calls Galactus” and “Worlds Within Worlds.” Jack Kirby’s artwork by this issue has evolved light years from the first Fantastic Four story. 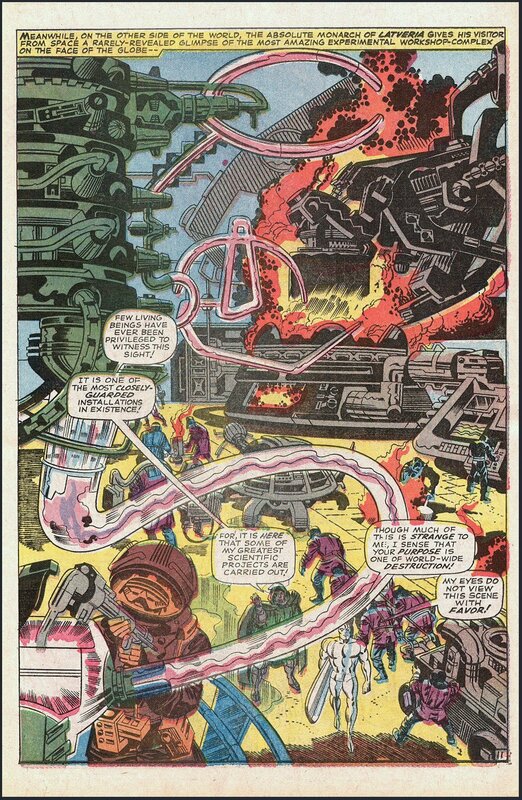 He pours on the fantastic machinery and cityscapes that look more like modern art than anything else, abstracting the material world into the Kirby super-cosmic vision that became his hallmark. 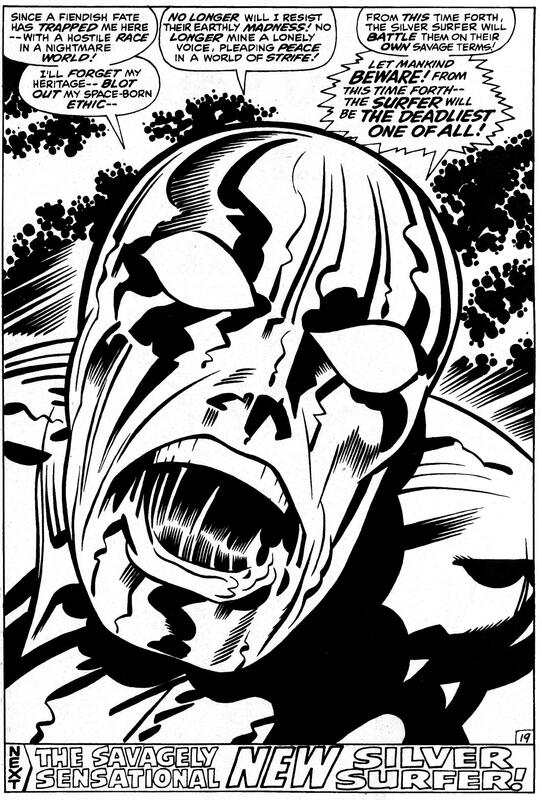 See what happens when your body is reduced to basic electrons and transmitted to the halls of… The Psycho Man! 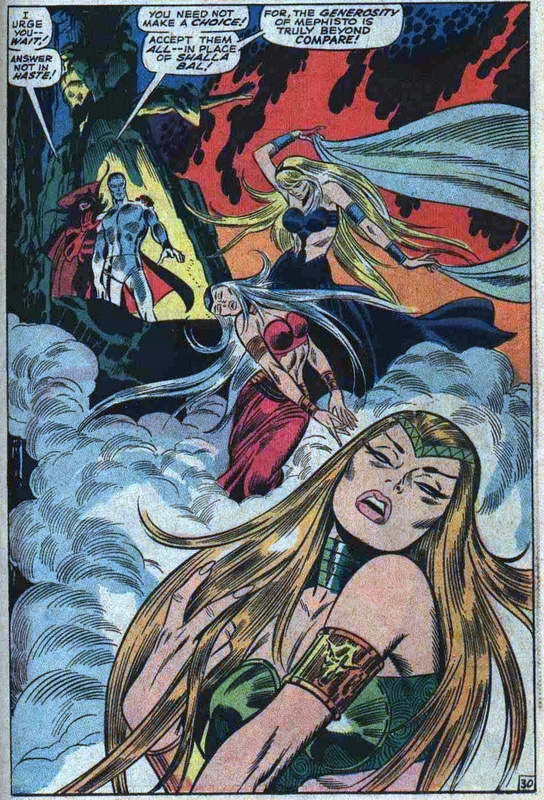 originally from Fantastic Four #75 and reprinted in Marvel’s Greatest Comics #58. Time Has Little Meaning to an Exile from the Stars! 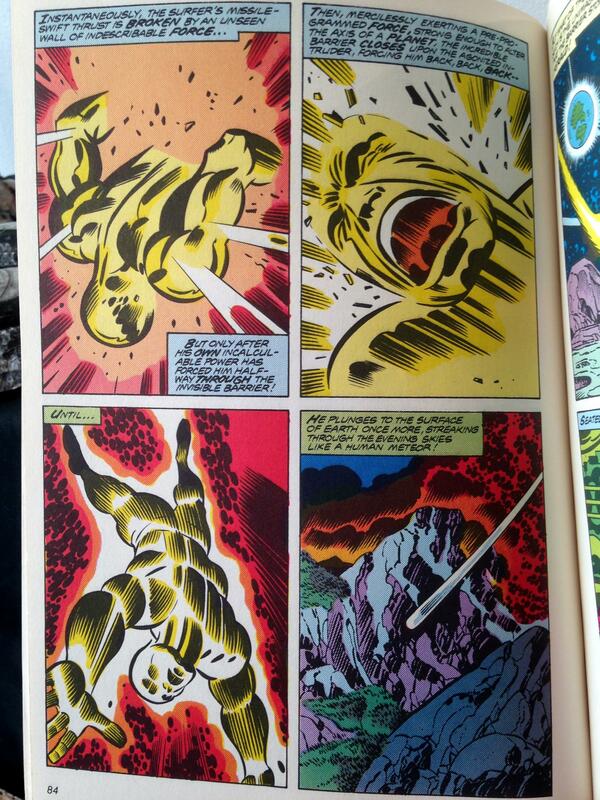 One of our favorite splash panel depictions of the Silver Surfer by Jack Kirby. 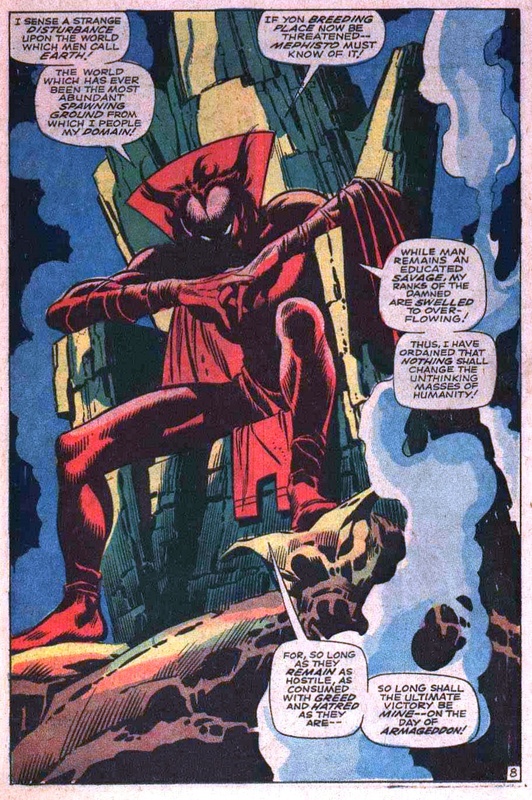 Appears in Marvel’s Greatest Comics #42. 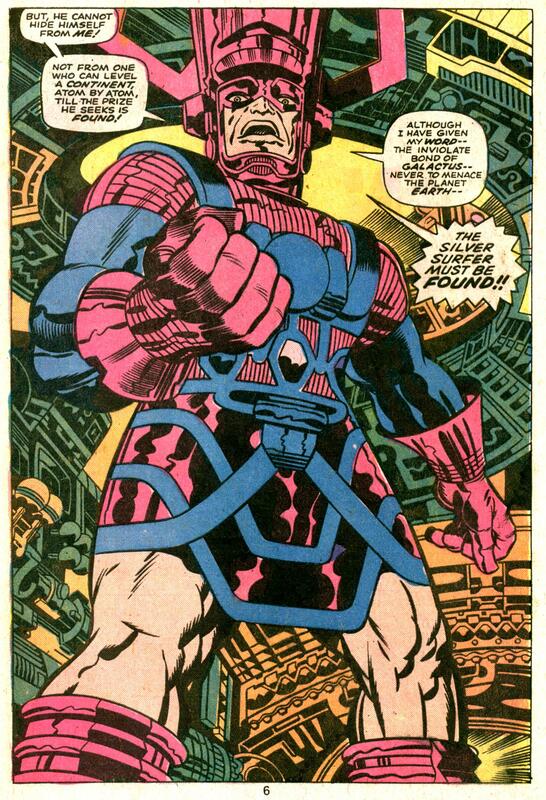 For Eight Days He Rides the Cosmic Tides! 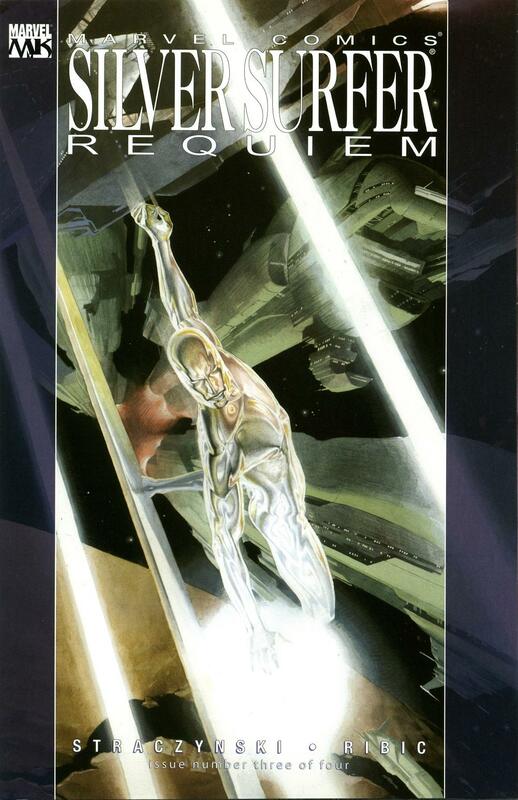 Requiem is a gorgeously painted tale of the Silver Surfer’s last days. 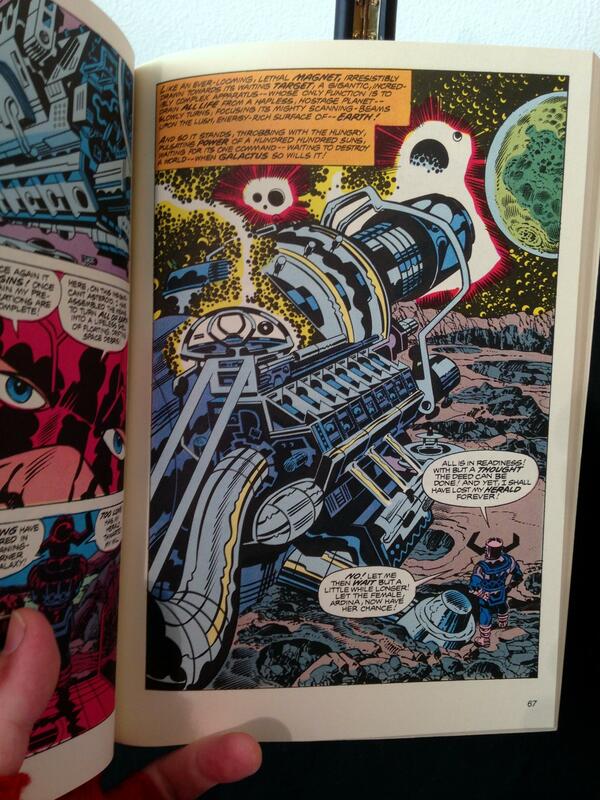 Along the way, he visits old friends, gets a super awesome globe that shows what a difference he made in the course of human affairs, and stops a centuries-old galactic war. Nice way to go out, Surfer! Here’s just a few pages of set up from one of the 4 issues. 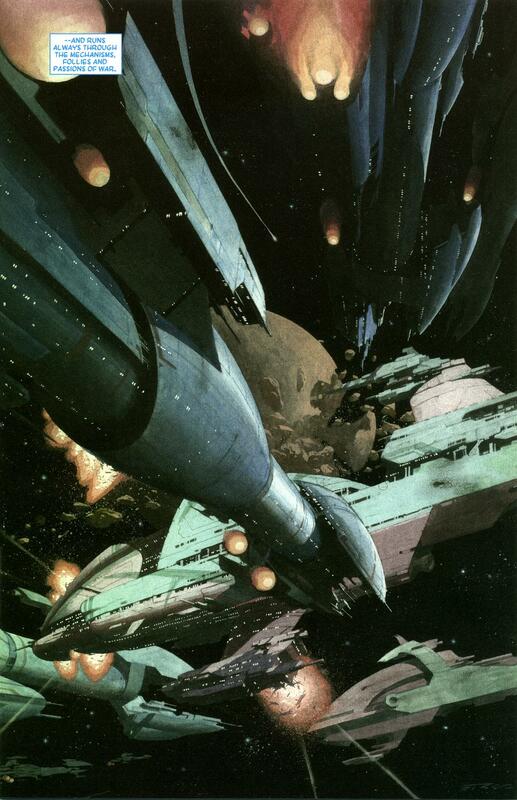 Yeah, these awesome space scenes are just set up! 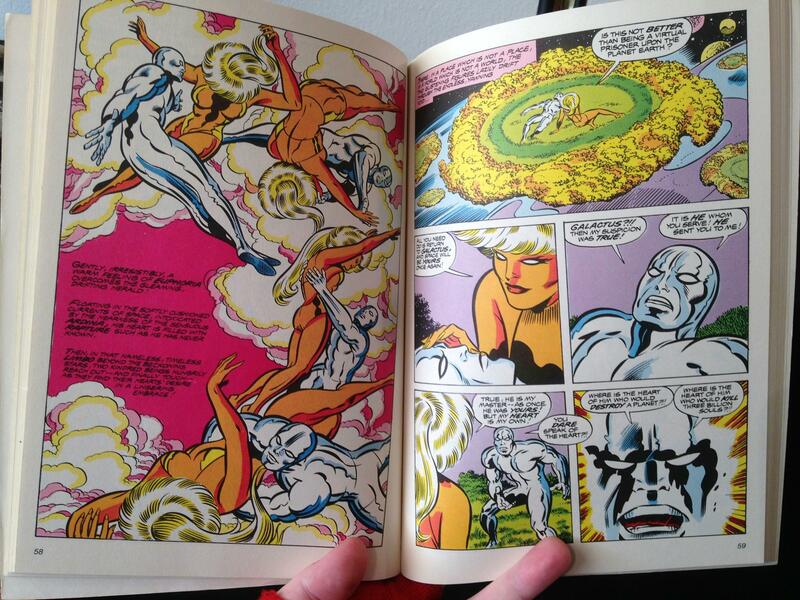 We love the Surfer’s solution to the madness of war – but you’ll have to get the Silver Surfer Requiem Hardcover to read all about it! 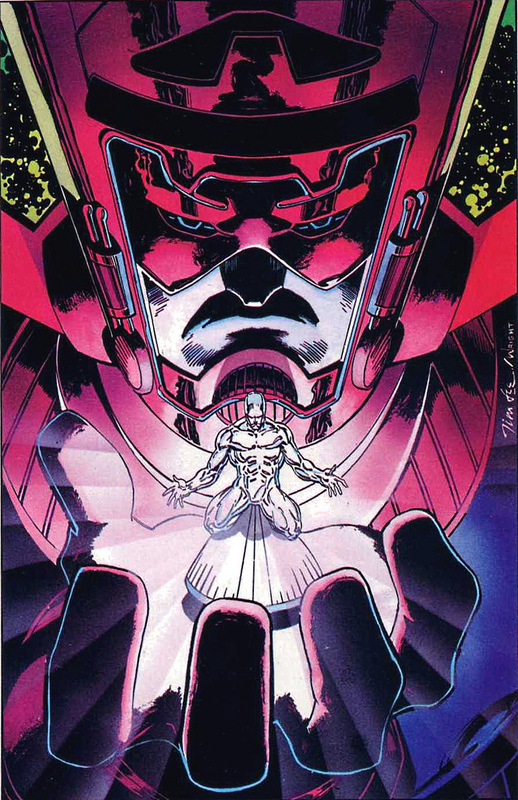 Or, try the single issues and the TPB. 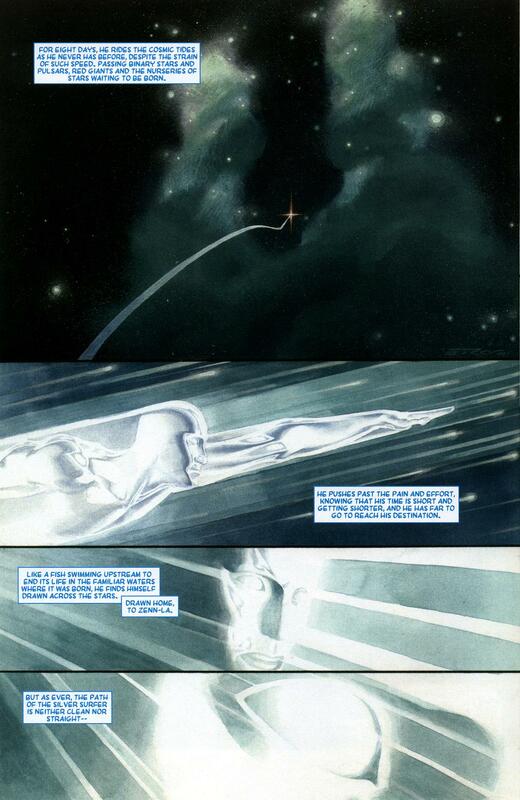 Esad Ribic really brings the Straczynski script to life. 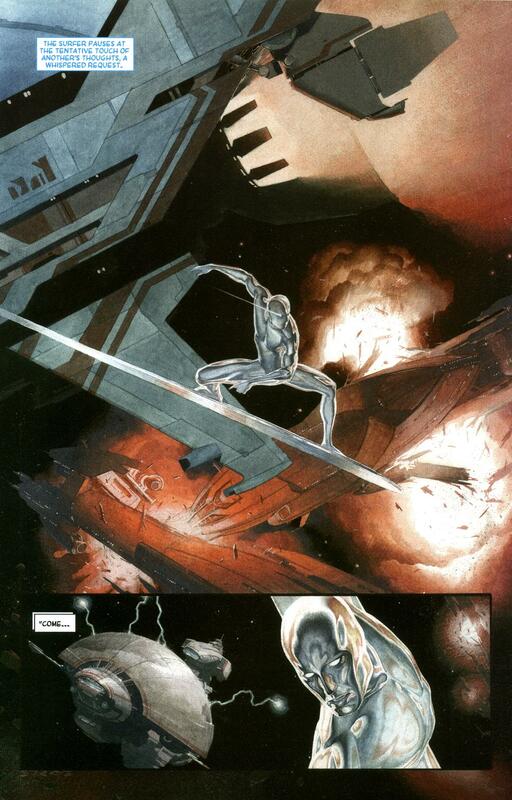 We’ve seen some other work by Esad Ribic but nothing like this. 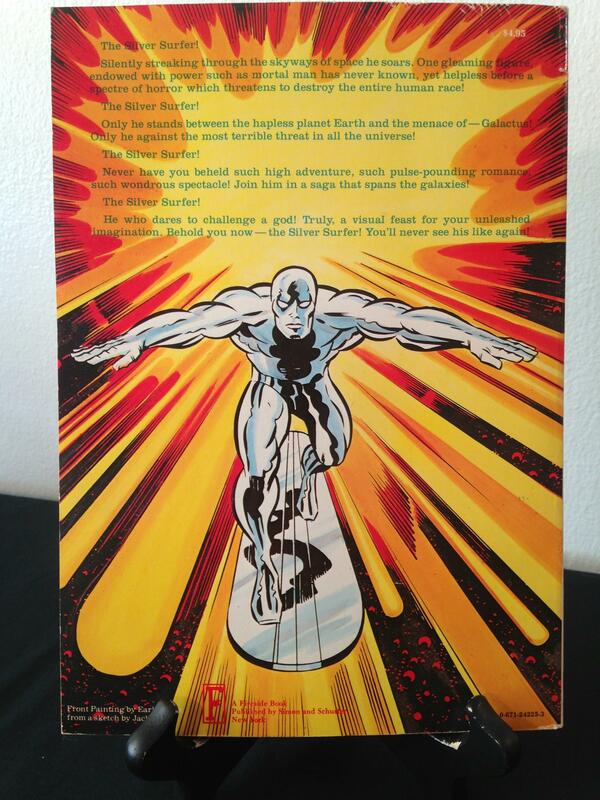 Speaking of awesome takes on the Silver Surfer, we love this cover to Ultimate Extinction. 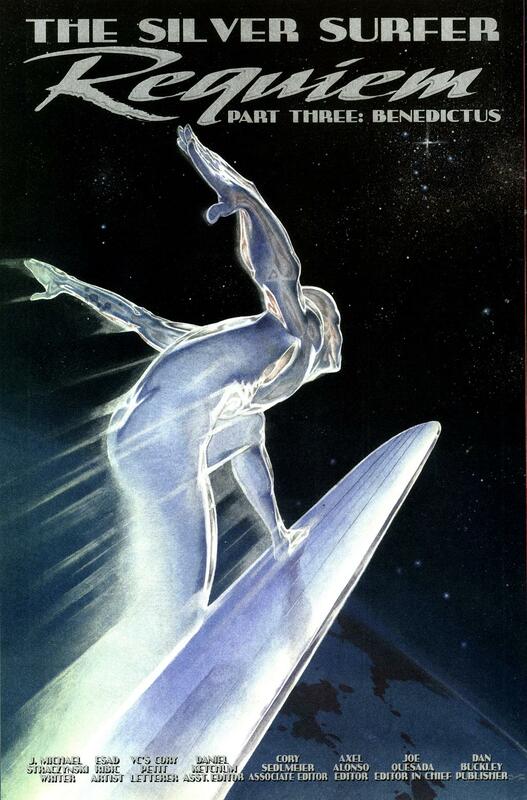 A totally fresh take on the “Silver Surfer as avatar of Galactus” concept. My Comic Shop usually carries all five issues of Ultimate Extinction for about a buck a piece. We keep hoping Marvel will help us nerd out completely and put out an omnibus with Ultimate Extinction, Ultimate Nightmare, and Ultimate Secret. That was one excellent tale of the (almost!) end of the world! 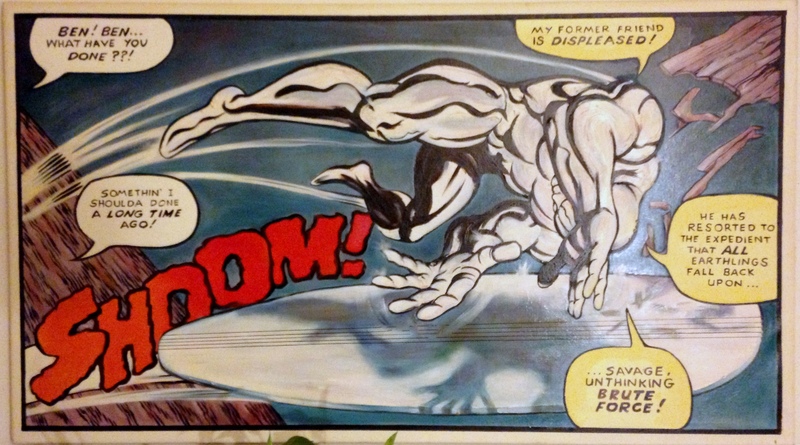 The original Silver Surfer series from 1968 ended with this cataclysmic declaration by the Surfer that he was fed up with moping around and being Mr. Nice Guy to the humans! 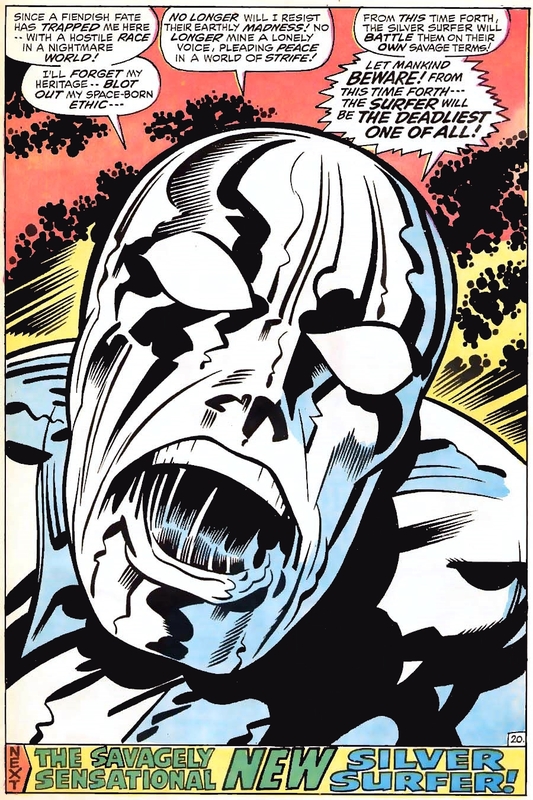 Jack Kirby, the man who created the Silver Surfer, drew the final issue: a senseless battle against the Inhumans drenched in Kirby Krackle, techno-gadgets galore, and lots of referring to one’s self in the third person! 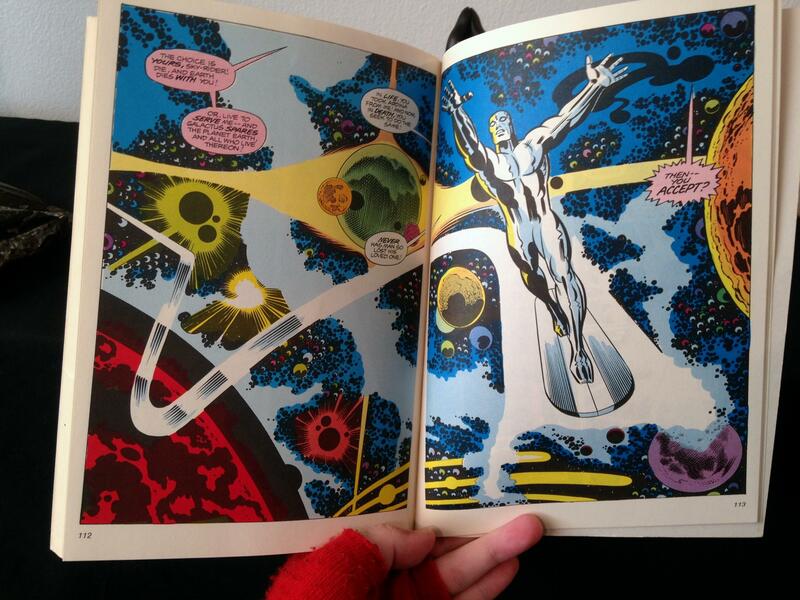 This black and white art comes from The Essential Silver Surfer TPB by Marvel Comics. 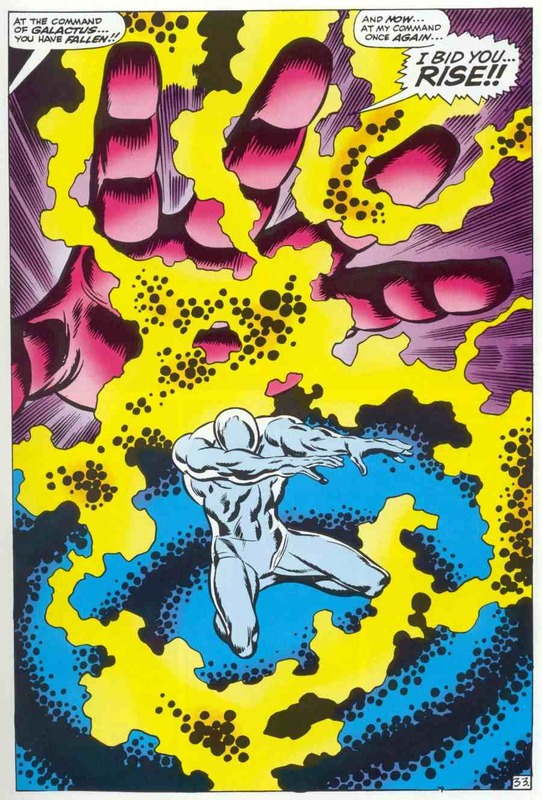 Considering it would cost you a grand or two to get the original issues in NM or VF condition, the moderately priced Essentials is a steal of a deal! 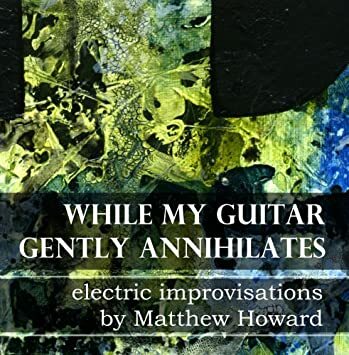 If edition one is out of stock, try the second edition.